Based on reviews from 167 experts and 19,941 users. 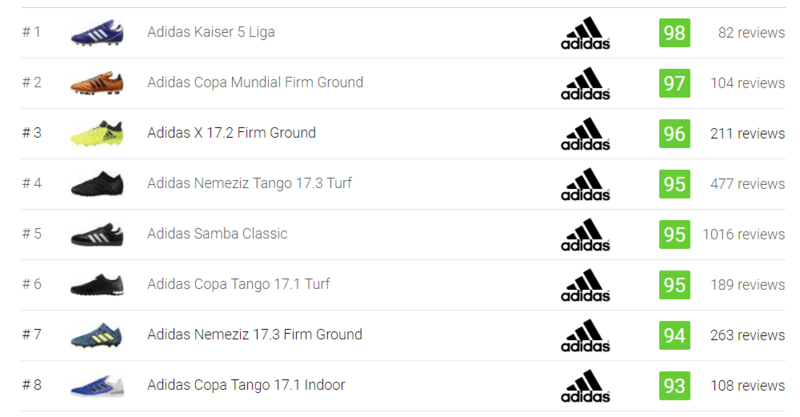 Learn how our rankings work or see our guide to low football boots. Updated Apr 2019. Over the years, football boots have gone through serious design modifications. With all the different styles and looks that players can choose from, low top football boots certainly haven’t lost its relevance. In fact, a good number of players still prefer the classic-looking boot over the new innovative collars and sock extensions integrated into some of the modern-day models. The 19th century saw the rising popularity of football in Britain. Back then, people wore their heavy and rigid work boots to the pitch. These cleats were ankle-high with long laces and a steel toe cap at the front - the first of its kind during that time. The early playing boots also sported metal tacks placed on the sole. As demand for better football boots grew, manufacturers rose to the occasion, developing better, more comfortable boots to replace the work boots players used in the game. The first ever football-specific boot was introduced during the later part of the 19th century. It featured a thick and heavy leather that runs to the ankle for better protection. It weighed 500 grams, but when wet, it doubled its weight. In the early 1900s, several brands promoted their football boots for players to wear. These included Gola, Valsport, and Hummel. Around this time, various design alterations were utilized by manufacturers, with an increased focus on functionality instead of merely protection. The football boots then became more lightweight and flexible. The European brands, Adidas and Puma, came into the picture as a result of the falling out between the Dassler brothers in the 1940s. Adolf, the founder of Adidas, competed with his brother, Rudolf, the founder of Puma, in producing the better-performing shoes. This was the beginning of what would be decades of rivalry between the two of the biggest names in the football boot industry. Over the next decade, football boots underwent major improvements. One of the most significant changes was its complete design makeover. New designs highlighted a lower cut instead of the ankle-high boots. These low-top football boots gave players the convenience of having free ankles, allowing them to move faster on the ground. The new design also enabled athletes to experiment with quicker and fancier footing. In 1970, the Puma King stole the scene at the World Cup Finals, with the endorsement of Brazil’s national hero, Pele. The King sported a low top design and featured the Puma form strip. The football boot was known for its unmatched comfort, quality, and durability. Majority of boots that followed the Puma King featured a low profile upper, and it wasn’t long until the basic design and style of soccer boots converged with that of sneakers, as seen in today’s modern-day cleats. Low top football boots come in various categories. With the countless available options out there, it will be useful for wearers and potential purchasers to know how they are classified so they would know which one is right for them. 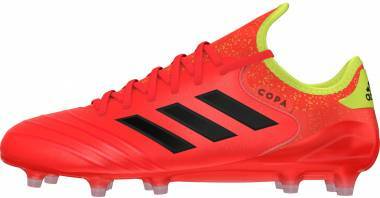 The football boots are generally grouped according to what type surface they are most appropriate to use. Indoor low top football boots are best suited for use on indoor courts, like gym and indoor court facilities. Resembling the look of a running shoe, they typically wear a flat gum rubber outsole that’s a bit harder than that of the standard sneaker. They also feature tread patterns that provide maximum traction on smooth, flat surfaces. Low top boots for turf surfaces usually have multi-density rubber outsoles. The sole unit is evenly covered with protruding rubber bumps that provide the needed grip on turf pitches. It also facilitates quick rotations and offers better stability. 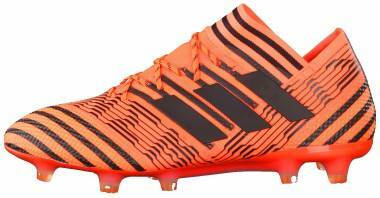 Hard ground low top football boots. These are built for hard fields. They usually have short circular rubber studs spread through the entire outsole. These studs provide maximum traction on hard surfaces without putting too much pressure on the feet, minimizing discomfort whenever the cleats are unable to dig into the pitch. Firm ground low top football boots. These boots work best on fields with natural grass. They feature a combination of conical and bladed studs that facilitate a player’s movement on the firm ground pitch. The stud configuration efficiently gives the right amount of grip for quick turns and cuts during the game. 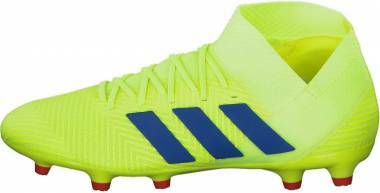 Soft ground low top football boots. 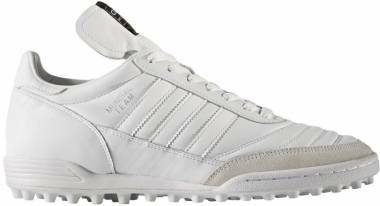 These football shoes are designed specifically for soft, muddy pitches. It is most suited for use in areas frequented by rain. 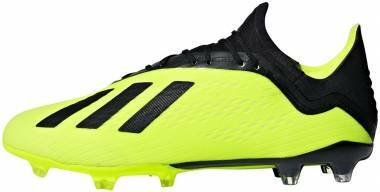 Majority of soft ground cleats has detachable studs that are either bladed or conical. The studs come in different lengths to allow players to adjust their shoes based on the condition of the field. The shorter studs can also be used on firm ground surfaces. Football boots come in three distinct cuts and styles that vary in terms of the height of the upper and where it sits at the ankle. Each style offers different advantages to players depending on their personal preference as well as their position and playing style. These football shoes have cut right below the ankle, freeing it from any restrictions. With the ankles free, players are given maximum mobility, allowing them to execute aggressive cuts and speedy moves on the pitch. The majority of modern-day football boots wear a low top design. However, wearers should note that these boots offer little to no ankle support. Among the most popular low top shoes include the Nike Tiempo Legend VII Elite Firm Ground, known for its classic look, and the Adidas speed boot, the Nemeziz 17+ 360 Agility. 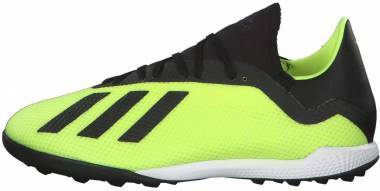 Low tops are ideal for athletes who want speed and agility for excellent play on the field. Football boots with mid-top cut rise to the ankle, providing extra stability and support without seriously restricting movement and speed. They are designed for most skill players like running backs, quarterbacks, defensive backs, and wide receivers. The mid top style gained better popularity over the recent years, with most companies adapting it into their boot designs. Nike initially introduced the dynamic fit (DF) collar on their Magista line. It wasn’t long until the Hypervenom and Superfly silos also released their mid top models. These shoes include everything from ¾” cut to ⅝” cut, even higher. Compared to the other styles, high top soccer shoes provide the most ankle support to protect against ankle injuries. They also offer excellent stability and are most suited for players who make a lot of lateral movements, such as defenders and linemen. With the increasing popularity of mid-cut collars and high-cut styles, one might think that low top football boots are getting a bit old-fashioned for the pitch. That notion could not be more wrong. This classic design might have had the earliest beginnings, but through time, it has proven its timeless charm. Less restricting. Ankle-high leather football boots were the first pair of playing shoes ever to grace the football pitch. These boots were designed for foot protection, but not necessarily for performance. Modern-day low top boots offer a less restricting experience for wearers, mainly because the ankles are not covered. It allows for ease of movement of the feet that significantly improve a player’s game. Maximum mobility. With a less-restricted fit, low top football boots offer maximum foot mobility, allowing players to move with speed and agility around the field. Making quick cuts and swift moves can be executed with ease when wearing a pair of low top football boots. More lightweight. Since low top soccer shoes lack the extra bulk that other styles have, they considerably weigh less. Moreover, low top football boots that wear a synthetic or mesh upper are even more lightweight than most soccer shoes. We’ve rallied up a few questions below that might help you in your search for the perfect low top football boot for you. What kind of support can I expect from low top football boots? Since low top football boots are trimmed just below the ankles, wearers can expect to move their foot without any restrictions. Most players find this beneficial largely because it enables them to execute plays smoothly and swiftly. However, the exposed ankles will mean minimal or no support at all against ankle injuries like accidental twisting and the like. Then again, that doesn’t seem to bother quite a number of players who patronize this style. Cristiano Ronaldo is one superstar who knows what he wants when it came to his cleats. As much as he appeared in all of Nike’s marketing of the regular Superfly versions, he has been spotted wearing a customized pair of Superflys with a low-cut collar. Guess, he must have a good reason to go for the traditional cut. 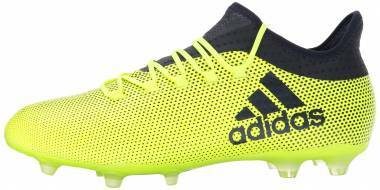 What kind of low top football boot should I get if I want breathability and flexibility? The answer will have to come down to the material that makes up the shoe. You will want to look for low top football tops that are made of leather. Whether it’s kangaroo or calf-skin leather, it will provide the needed flexibility to allow wearers to skillfully maneuver the ball. It is also quite breathable as it fits snugly to the feet. Then again, leather stretches over time, affecting the boot’s overall fit. Also, it is not waterproof. Most companies offer a good selection of low cut leather football boots. You might want to check out the Adidas Samba or the Adidas Copa collection, both of which offer boots made of supple leather with a classic look. The Nike Tiempo series is also a good place to look.